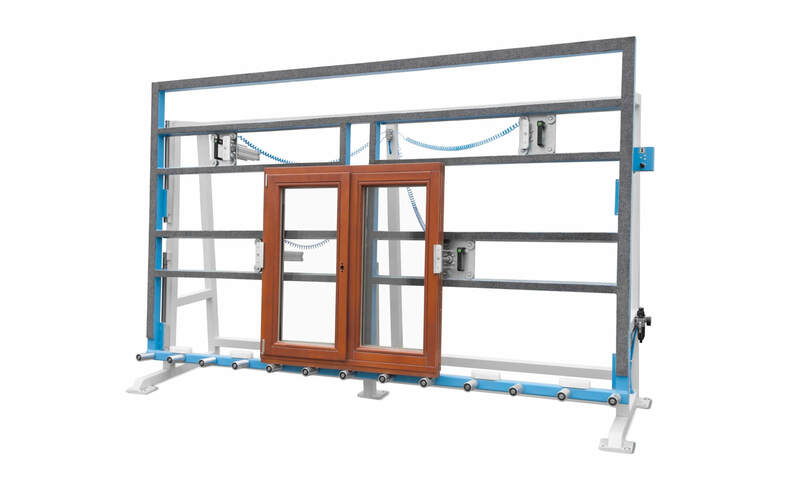 Vertical stand for assembling, adjustment and testing of windows. The stand is equipped with one fixed shoulder and one movable shoulder with pneumatic piston. 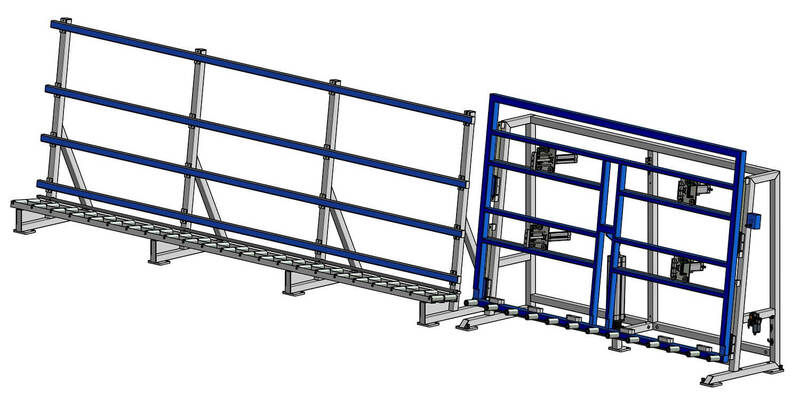 The fixed shoulder can be opened to allow easy unloading to a storage conveyor. 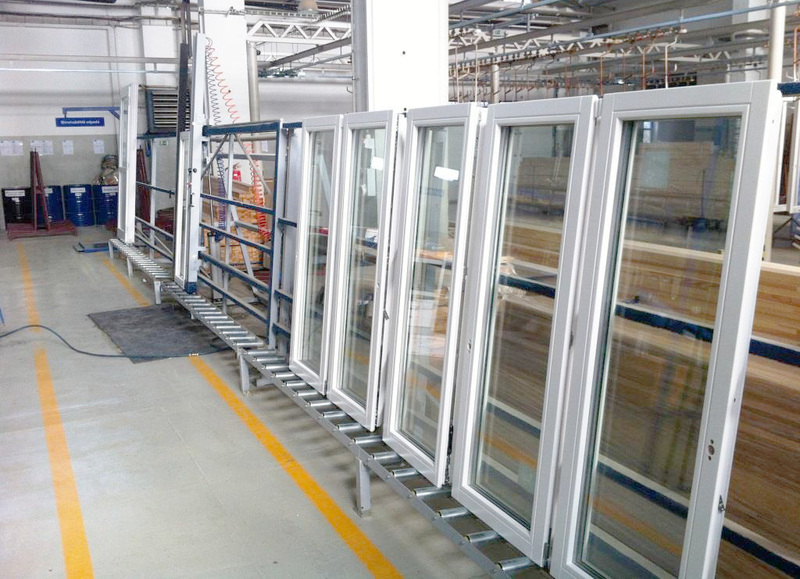 The whole frame can rise up to 500mm for a comfortable working position.